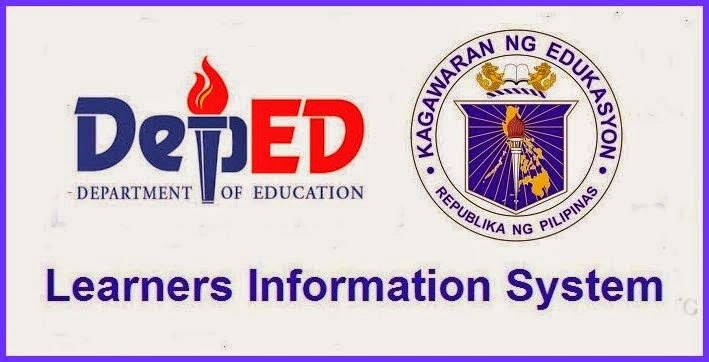 Insurmountable basic problems and technological lapses and internet glitches seem to pile up since the elementary and secondary schools in public were required to do the enrollment, updating the student's profile online via the DepEd learner information system (LIS) website. The Department of Education while on the process of accomplishing its new school forms as required for this school year 2013 - 2014 had set up two groups in the Facebook to handle issues met by the teachers for the first time. Practically this team is on hand to guide the teachers through a visual aid or illustration only to give highlights on a certain point or topic. There are 8 admins assigned to their respective tasks like handling the influx of huge number of teachers who would like to join the group, among others. Sir Jonathan Diche who is the chief admin of this group regularly interacts with the others admins like Jeth Sansano Aquino, Erwin Yumping, SIS DepEd, Melb Ballesteros Endozo, Alvin Castro, lma Alonzo, and this blogger. As of this writing, the group has a total membership of 10,195 and it is still growing. 3. To keep in return good practices met by fellow teacher in making this work easier. WARNING: it is strictly prohibited to post issue not related to the implementation of the system. Without any warning, the post in question will be deleted immediately. Doing it for the second time, the teacher/user would be removed and even banned permanently. Any query to LIS should be addressed to the Admin as a team and not to individual name like Sir Jonathan Diche. In so doing, this will be collaborative, consultative. There are 9 admins deployed here for free to maintain this page, like screening and approving request to join the group, monitoring issues posted for appropriate remedy or solution, among other related issues on LIS. As of this writing, there are about 12,836 members who are under the care and even tutelage of the 9 admins led by sir Jonathan Diche. They are Ellie Magpantay, Januses Boquiren Salinas, Alvin castro, Ma. Victoria Zapata, Boy Joson, Rey Laguda, Sylvi Borja and this blogger. DepEd assistant secretary Rey Laguda issued a statement through the LIS FB page expressing a sincere gratitude to those who are doing their work. "I want to thank everyone one who is putting time and effort into the LIS - from the school to division to region and central office levels. Your work is indeed recognized and deemed valuable as part of our overall effort to improve our information systems. Systems such as the LIS are meant to help in proper decision making based on correct and updated data. Secondly, it is meant to make teachers' work simpler in the long run (e.g. No more repetitive encoding of names). And third and most importantly, we hope to be able to track our learners closely as they move from one school to another, drop out or enroll back to school. "There are bumps and humps along the road and we ask for your continued understanding and support. Rest assured, the DepEd Management is one with you in improving the way we deliver education. Something that we can be proud of and call our own." And whatever forms unanimously selected by the team would be made public and they would become the solely property of the DepEd. All admins are personally sacrificing themselves even late at night or early morning of the following day just to cater the needs of the teachers. Admins are selected through their personal credence, alertness in answering queries, and obvious technological skill and talent. They do their job without any extra remuneration from the agency or credits from the DepEd. THERE ARE SOME INVISIBLE BUTTONS LIKE THE PARENT IN "RELATIONSHIP" OF GUARDIAN. AND I MADE A MISTAKE IN CHOOSING RELATIVE SO I HAVE TO DO IT ONE BY ONE ALL OVER AGAIN.